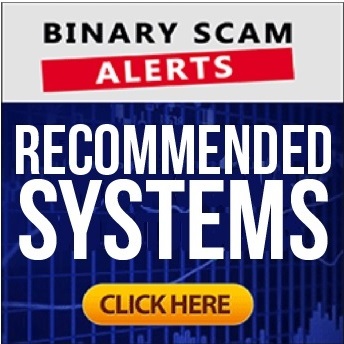 Binary Scam Alerts » Cryptocurrency Scam Reviews » Immediate Edge Review, Is Immediate Edge App SCAM? Oh no, the crypto scammers are back and this time its called Immediate Edge (AKA Immediate Edge App) by Edwin James. In case you are wondering, the Immediate Edge scam is not a HYIP, or Ponzi Scheme. It’s advertised as a software which uses artificial intelligence in order to scan the markets and generate winning trades. However, in reality Immediate Edge is a Forex and CFD get-rich-quick scheme designed to steal your money. Now, legitimate Forex and CFD trading systems do exist, however they factor in various variables in order to ascertain the virtual currency’s price. Basic factors such as supply and demand economics, order types, and speed of execution are just some examples of these factors. Now, as our detailed Immediate Edge review will show, this fake app does even discuss the type of assets which are traded (BTCUSD, ETHBTC), or if the system has been back tested. Instead, this fraudulent investment platform just churns out the usual repetitive messages about getting rich fast with zero risk. So how does the scam work? Simple, the affiliate marketers or media agencies promote the scam, and after you invest they share the loot with rogue offshore brokers (in our case it was Evolution Brokers). This type of scam is usually referred to as a revenue or profit share scheme, and it is very common in online trading and gambling sites. Still believe the Immediate Edge App is a legitimate trading system and wish to ignore the complaints we received? Well in that case we highly recommend you check out our fair and impartial Immediate Edge review because we left nothing to chance and exposed the crooks behind it! So here is the Immediate Edge Scam main registration area. Notice the hype when they say that you can be “richer than you ever imagined”. This is an immediate tell sign which should alert your attention. Moving along here is the testimonial part of the Immediate Edge SCAM. We have produced conclusive proof that all the testimonials are forged and naturally there is a reason for that. They are basically using a sleazy scam tactics in order to manipulate you into signing up, and this is not acceptable! OK so here is the last piece of the puzzle. If you take a look below you will see that they are saying there is “zero risk” and the success rate is 98.9% (not possible and not logical). That’s what we call a blatant lie and every child understands that everything in life requires some degree of risk, especially when online trading is involved. Who Is Edwin James and How Does The Immediate Edge Scam Work? Edwin James is presented as the man behind the Immediate Edge scam app. Apparently they are telling us the software is 100% automated and selects only the best trades even when markets are falling, hence there is no risk to your money (if you believe that). Immediate Edge Review, $2,200 Daily or SCAM App? There is also talk about insider information and having exclusive access to a secret trading algorithm. They say that the app takes advantage of the price differences and fluctuations between the exchanges and that is why the app provides you with immediate success and fast profits. James claims that the best traders and analysts in the world were gathered in order to create the “most powerful and intelligent crypto trading software in the world”. He also mentions that this is a “wealth bonanza” and the algorithm trades 100% by itself and that no knowledge is needed. Actually we are first to expose so we only saw one but more will follow for sure! Does Immediate Edge really Work With All Major Cryptocurrency Exchanges? The short and resounding answer is NO, it does not. These liars are saying it in order to make their narrative more believable but its a lie and complete fabrication. They are also using pictures of the Winklevoss twins and Bill Gates to deliver their message. Unfortunately everything is taken totally out of context and used in the most manipulative and misleading manner. Take a wild guess, you guessed it absolutely not! They will charge you at least $/£/€250 in order to get started, sometimes as much as $/£/€500. This money will be deducted from your credit card statement by the broker which was assigned to you. Don’t do it! No matter how enticing the offer may seem we have proven that Immediate Edge is a confirmed scam. If you signup we can guarantee that you will end up losing your money (and your self dignity), so don’t say we didn’t warn you! The ones to watch out for are Bitcoin Trader and Bitcoin Revolution. Are you contemplating signing up for a trading system but searching for a genuine software? If so then look no more! Our recommended section features the best and most consistent cash producing machines available today, so take a minute to check it out and let us know what you think! Immediate Edge Review, Summary, and Much Foreseen Conclusions – BLACKLISTED Crypto App! The Immediate Edge SCAM App is a BLACKLISTED crypto scam with all the trimmings. They say that strange creatures lurk in the night, well this creature bites hard and once the scammers behind the fraudulent Immediate Edge app sink their teeth into your wallet and get their pound of flesh it will be too later so you might as well kiss your money goodbye right now! Should you have any questions or require additional clarifications please message us through our Facebook page and subscribe to our YouTube Channel.